Activin E, a member of the TGF-β super family, is a protein dimer of mature inhibin βE subunits. Recently, it is reported that hepatic activin E may act as a hepatokine that alter whole body energy/glucose metabolism in human. However, orthologues of the activin E gene have yet to be identified in lower vertebrates, including fish. Here, we cloned the medaka (Oryzias latipes) activin E cDNA from liver. 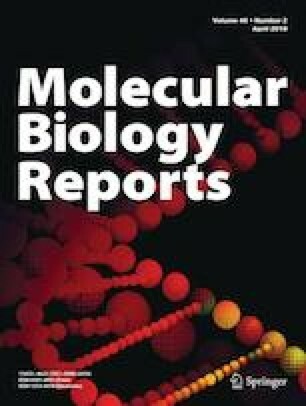 Among all the mammalian inhibin β subunits, the mature medaka activin E amino acid sequence shares the highest homology with mammalian activin E. Recombinant expression studies suggest that medaka activin E, the disulfide–bound mature form of mature inhibin βE subunits, may exert its effects in a way similar to that in mammals. Although activin E mRNA is predominantly expressed in liver in mammals, it is ubiquitously expressed in medaka tissues. Since expression in the liver was enhanced after a high fat diet, medaka activin E may be associated with energy/glucose metabolism, as shown in mice and human. The authors thank Dr. R. Nakao for helpful discussions.